I did some research to determine what she is holding in her left hand. 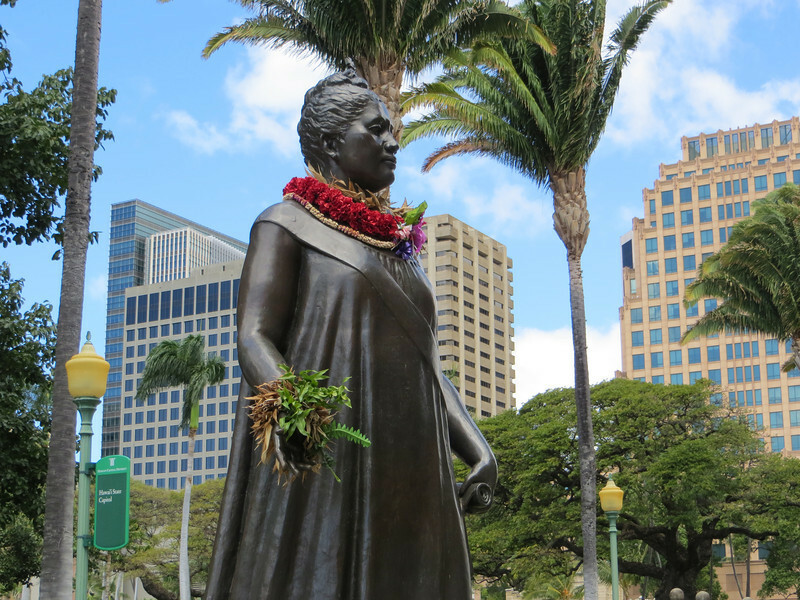 I thought it could be either the constitution of 1893 which she wrote herself and tried to ram through the legislature (thus alarming the white powers that be and causing them to get rid of her), or possibly the music to "Aloha Oe", which she composed. My sources said she's supposed to be holding both of them.